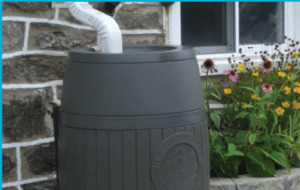 Wed, January 30, 2019 5:30 P.M.
Come to this workshop to learn how you can get a free rain barrel from Philadelphia Water! Reduced pricing for downspout planters, rain gardens, depaving, and permeable pavers will also be offered. For more information and to register to attend, please visit https://www.pwdraincheck.org or call PHS Information Services: 215-988-1698.